As much as we may like to tell the world that happiness and career fulfillment are far more important in life than just trying to get rich, let's be real: having money is a nice bonus. And frankly, having a lot of money is a really nice bonus. To that end, some places in the country are just better to be if you're hoping to amass considerable wealth during your time on this planet, and thanks to this new map it's all a bit clearer where they are. For anyone wondering what parts of the US are best for improving the chances of adding zeroes to their net worth, the folks at financial advice site SmartAsset have come up with an enlightening ranking for wannabe one-percenters. To determine which locales made the cut, the team looked at the 100 biggest cities in the country, then compared them using seven different metrics. Specifically, they culled US Census Bureau data on each place's unemployment rate, rate of high-wage jobs, growth in rate of high-wage jobs, growth in earnings over five years, median housing costs, median housing costs as a percentage of household income, and the ratio between the income required to be in the upper 20% of earners and the median income in the city. Then they plotted the 10 cities with best "scores" on a map. 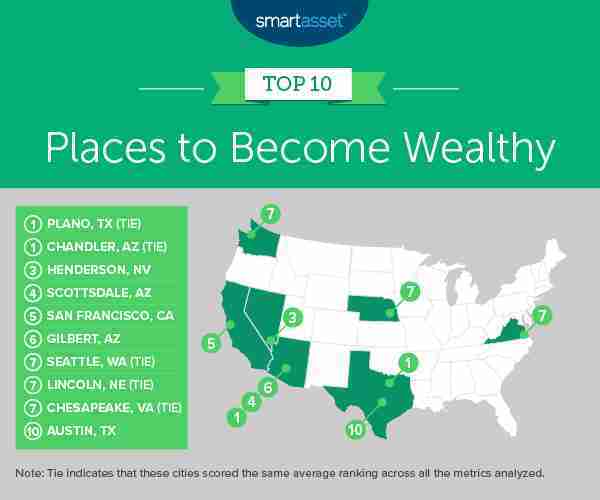 According to the findings, Plano, Texas is the best place to live right now if you're hoping to build your wealth. 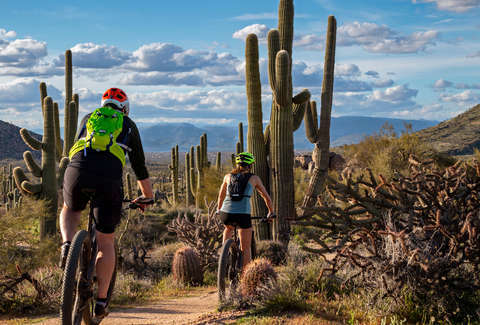 That's followed by Chandler, Arizona, and then Henderson, Nevada, which took the No. 3 spot. These are the cities that made it into the top 25. Obviously, simply living in a particular city is far from a guarantee that you're going to get rich there. This list is more an indicator of where you'd have the best chances to earn the most while living well for relatively cheap, thus making it easier to stash away your hard-earned cash. That said, you could also just stay put, get a better paying job, be better with your money, and hope for the best.